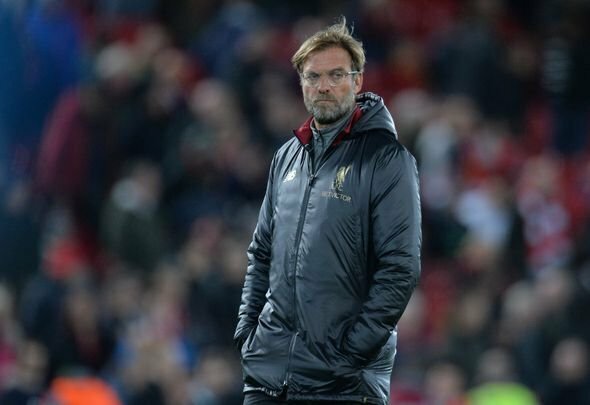 Liverpool manager Jurgen Klopp is agitated and is feeling the pressure of the team’s Premier League title hunt, according to Perry Groves. The former Arsenal man feels we have seen cracks appearing in the German’s normal amiability recently, and believes he needs to eradicate that down the stretch. “He moaned about the snow on the pitch against Leicester, saying they couldn’t pass the ball quick enough because the snow slowed them down,” he said on talkSPORT. “It’s the same for both teams Jurgen, Leicester coped OK. He wasn’t happy with Kevin Friend because he felt that he favoured West Ham in the second half. “If he looks like he's feeling the pressure, it filters down to the players.” ???? Groves makes a good point here. We all know that Klopp is a jovial guy. He’s got a great sense of humour and is normally smiling non-stop. However, we have seen him distressed a bit of late, and it’s no surprise that that has coincided with his team slipping up in their last couple of games. His point about the snow on the pitch against Leicester is valid, but not when you consider that the Foxes had the same problem. Then there’s his moaning about the referee against West Ham, in a game where he had no right to complain about the refereeing. Liverpool were gifted a goal so Klopp really had no leg to stand on there. Groves is right, though, his agitation will filter down to the players. The German needs to remain calm and paint a pleasant picture for his players. If he looks like he’s losing it then the players will feel uncertain about their chances as well.